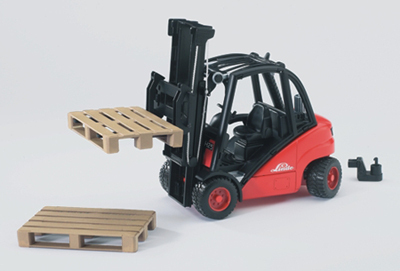 This New Linde H30D Fork Lift with Pallets by Bruder has a double stage mast that moves up and down as well as, back and forth for extra added play value. 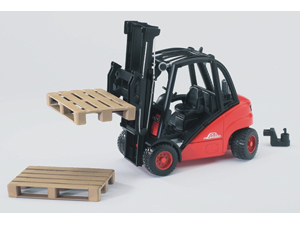 It even has pallets made like the real thing! This highly detailed toy is made of the highest quality plastic for a toy.